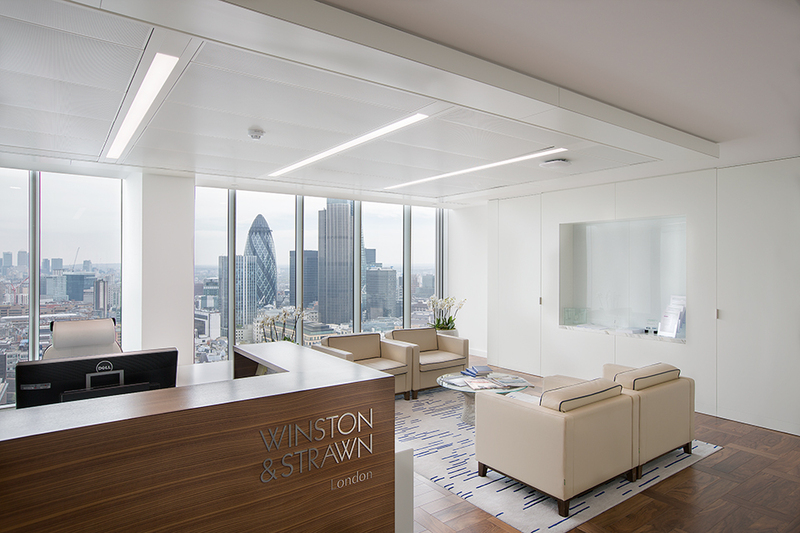 Services Provided: Winston & Strawn are an international law firm with eighteen offices in key financial centres across the world. 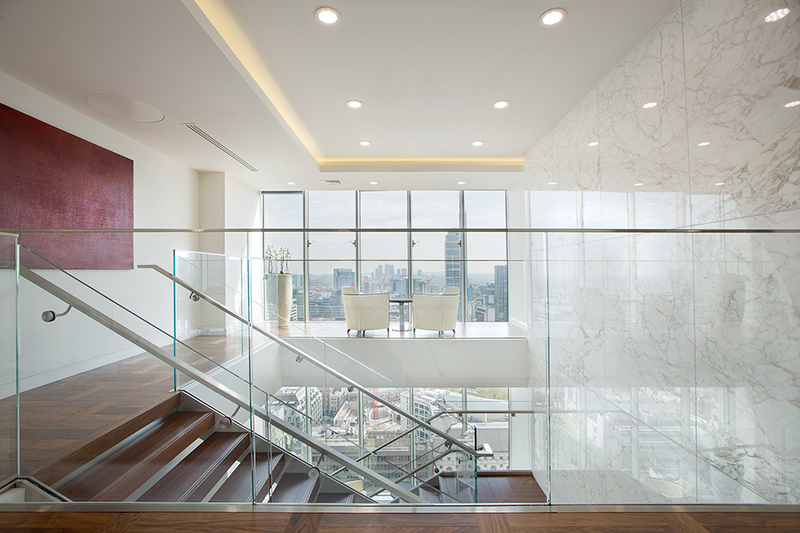 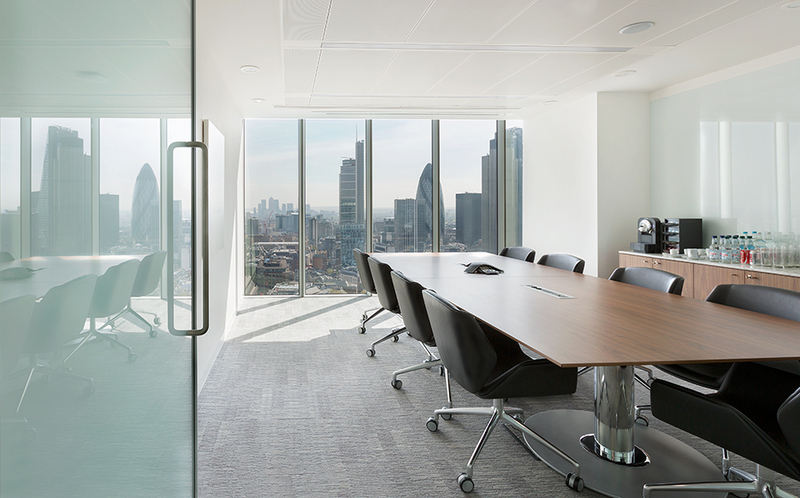 The London firm outgrew its offices and relocated to the 29th and 30th floors of Citypoint Tower. 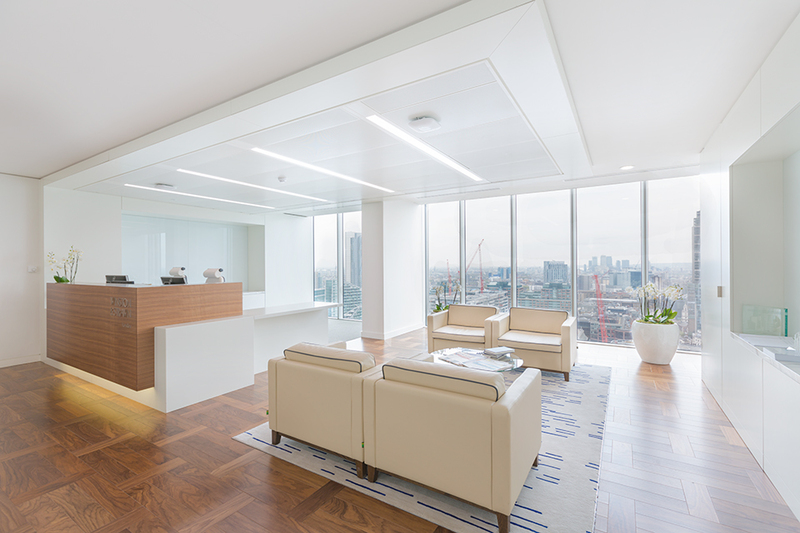 Working in conjunction with their professional teams in Washington, Chicago and London, Phusei procured and supplied new executive furniture for associate offices and at the same time , refurbished and moved their existing furniture for the partner offices. 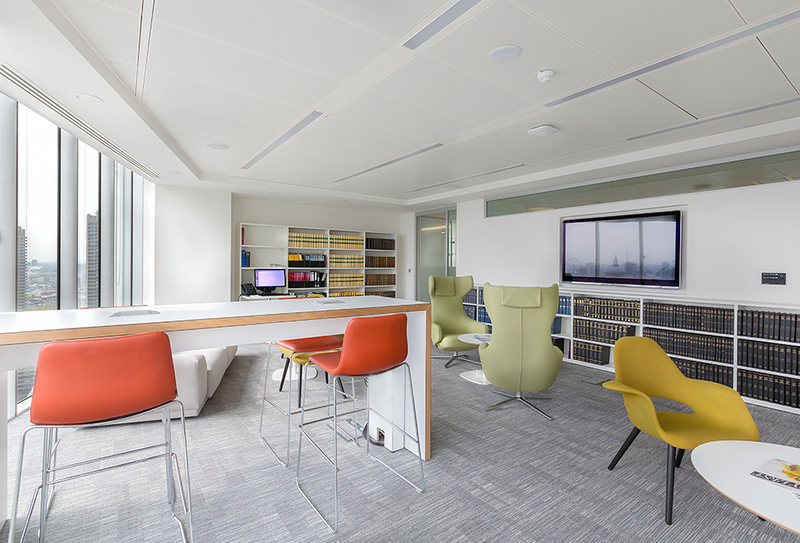 Being a paper heavy environment, storage was key; we supplied storewall , roller racking and units adapted to take US and UK documents. 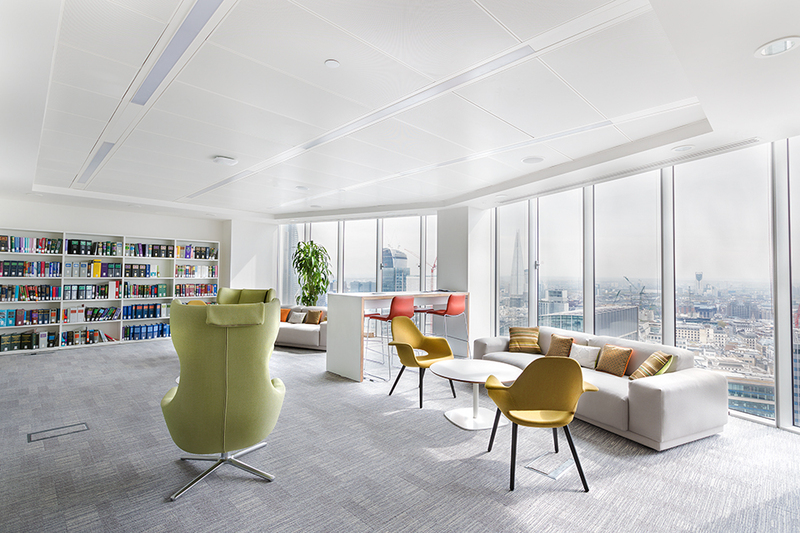 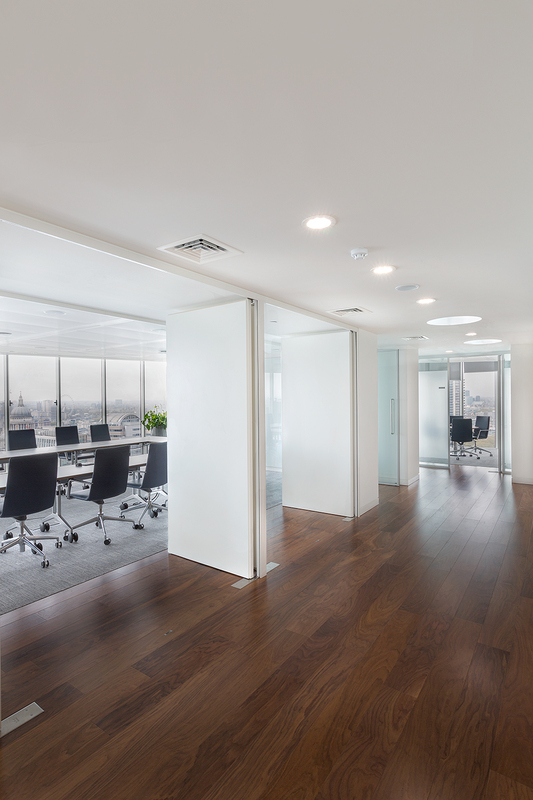 Phusei also specified and delivered furniture for meeting rooms with integrated AV, a library area for relaxing and studying and client reception area with stunning views over the City of London.